It’s a very shallow, wide piece of knitting, and there are a lot of ways to wear it. Scarf? Shawlette? Whatever suits your fancy. Thanks to Bobbi for modeling! The third version has a less ruffly ruffle, and is currently on the blocking wires. The pattern is out to test knitters right now; we’ll see if I made sense! The impetus for this design is the upcoming Sock Summit. I wanted to do something with sock yarn, that wasn’t a sock! I asked my friend Lorajean Kelley (Knitted Wit) to dye a cloudy Portland sky, thinking that the yarn/pattern combination would make a great Sock Summit souvenir. This design will be called Zen Rain; I’ll let you know when it’s ready. Speaking of Sock Summit, I am registered for three 3 hour classes, plus the Anna Zilboorg lecture and the opening night reception. My classes will be Photographing Your Fiber, Designing with Japanese Stitch Dictionaries, and Choosing Among Choices (sock design). Looking forward to all of it! I’ll also be roaming the marketplace and perhaps helping LJ a bit in her booth, too. I didn’t take many pictures on retreat, too busy working! But here are a few. 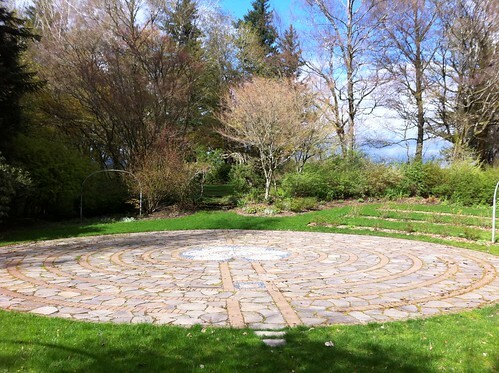 The labyrinth at Menucha Retreat and Conference Center in Corbett, OR is a great place to contemplate one’s life. 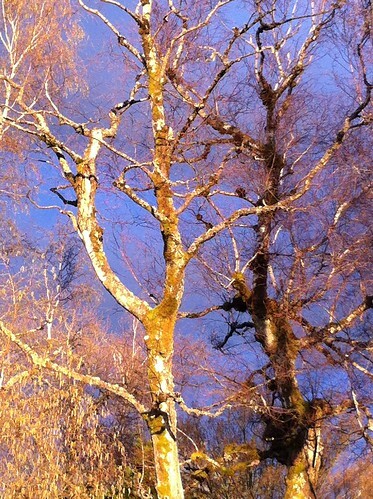 And the late afternoon light was absolutely magical. I hope your weekend was grand, too. And here we are, on the verge of another one. Happy spring! This entry was posted in Knit, pattern design and tagged Knit, Menucha, sock summit, zen rain shawl. Bookmark the permalink. LOVE your wonderful photos and your new shawl looks fabulous too! 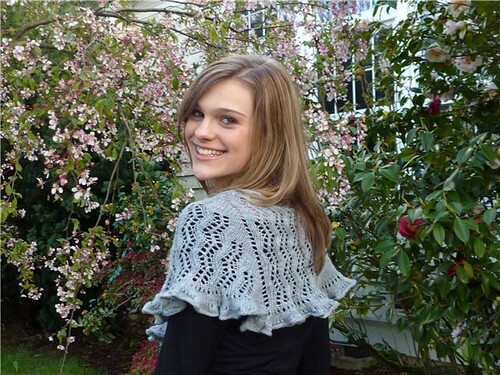 What a lovely shawl design! 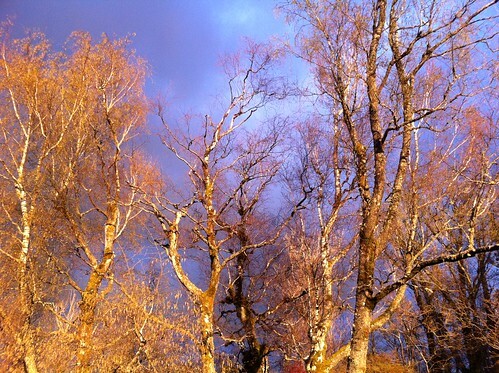 And those afternoon light pictures are just beautiful. Great shots! I love your new pattern! I’ve been really drawn to that shape of shawl lately. Can’t wait to see you at Sock Summit! Love the scarf –looking forward to the pattern! I was wondering what you’ve been up to. Glad you had fun and very productive weeks. Zen Rain is gorgeous…love the fun/whimsical sizing. And the classes are fantastic!!!! Can’t wait until July…all fun and exciting! Those afternoon light pictures are amazing! I love that shawl…great design…I love how shallow it is. Can’t wait to knit that one.